Denise has been part of the Peak Roofing family since March 2009. She started with us as a Coordinator, though her hard work has since elevated her to managing the day-to-day operations for Peak Roofing’s Warrenton office. 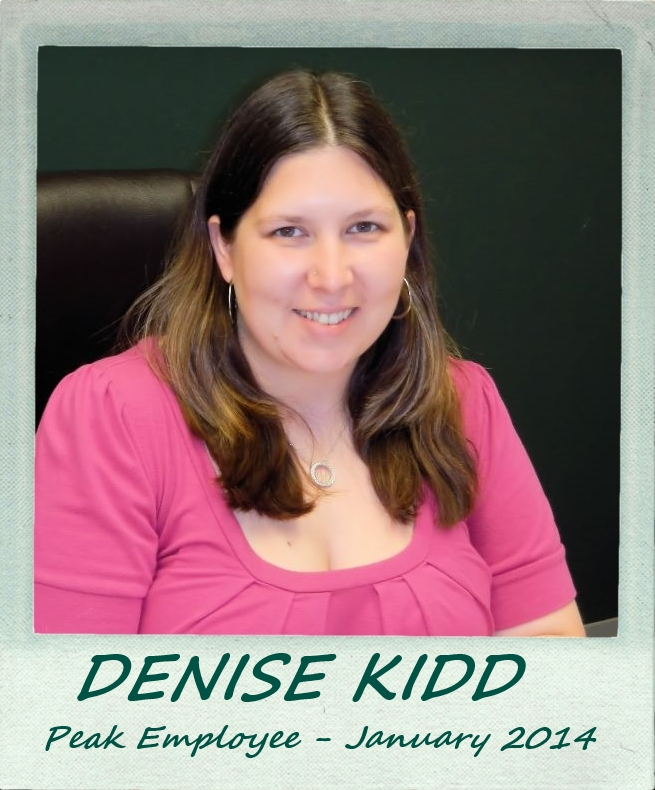 Denise is very thorough with her work and even though she is serious about her office responsibilities, she also has a serious sense of humor, which she makes sure to share with the everyone at Peak Roofing! Denise a big ROOF, ROOF for being our Peak Employee for January 2014! you’ll receive $50 off any Peak Roofing Contractors service. You won’t be disappointed!